This plaque(3 numbers) measures 9.5" x 6.25" and holds up to 3 digits. The numbers are beautifully bruched, and each character is carefully stencilled by hand. 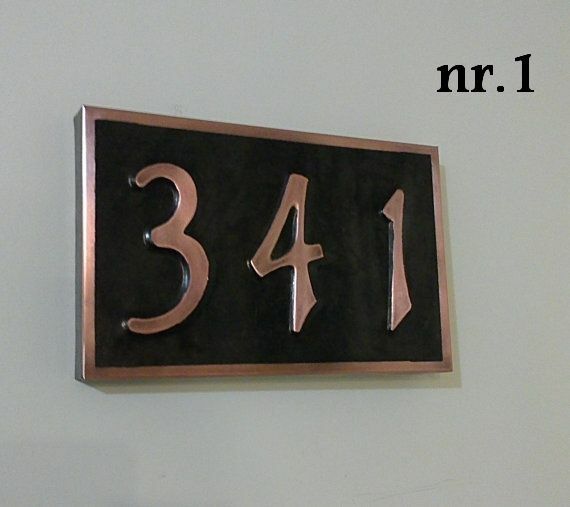 The sign is made of real patina copper. Simply click the "Add to Cart" button at the top of the page and proceed to Checkout. In the "Message to seller" section during the checkout please let me know the numbers you would like on your sign.